Should your manager know, or at least fully understand, how to do his employees’ jobs? It depends on the work in question, and the level of the manager. If you’re a first level line manager, yes, you probably need to know how to do your employee’s job — because you usually have to train them, supervise them fairly closely, and often work side-by-side with them doing similar or even the same work. But the higher up you go, the less that tends to be the case. If you’re, say, a COO, you’re probably managing a bunch of diverse functions — like, sales, communications, lobbying, finance, I.T., and so forth. You’re certainly not going to know how to do all those people’s jobs, nor would you need to. What you do need is to know enough to be able to hire the right people and to judge whether the right goals are being set and whether those goals are being met and to probe for potential problems, offer resources the team may need, and have a working BS detector. Even at lower levels, you’re still probably going to know more about your area of focus than your boss does — because it’s your job, not theirs. Your boss needs to understand your job enough about your job that she can do her hers, but her job is different than yours and her knowledge and expertise will reflect that. People sometimes like to complain about how their boss doesn’t know things about their jobs — but that’s often the way it should be. I agree with the last line, especially in administrative work. The more my boss knows about how to do my job, the less I have to do! As an admin, I both agree and disagree with this. Certain support tasks that certainly makes sense, such as which mail needs to be forwarded to another dept and how to order pens, absolutely there’s no reason for your boss to necessarily know this. However, early in my career I reported to an office manager who never learned the extremely crucial data entry file management system we used office-wide, but would ding you on evaluations if she felt you weren’t as proficient or timely as she thought you should be. That seemed pretty unfair. That does seem unfair, but I think there’s a difference between understanding the scope of a direct report’s job (which it sounds like your former manager didn’t, but would seem pretty vital), and understanding how to do the job, which is not always necessary as AAM says. Right, I didn’t expect her to understand *how* to enter every kind of file, but 10 minutes of her observing one of her employees entering files in the computer would have given her some idea on how long it should take and what the finished computer entry should like. Yeah, this. I’m an admin/bookkeeper and there are parts of my job that my managers don’t need to know, such as where I order office supplies or how I log calls. But there are things they *should* know about what my job is/how I do my job that they sometimes don’t. So, yes, managers don’t need to know the exact processes by which people do their jobs, but they should know what those jobs are, why they are important, what things are necessary to complete the job successfully, and the limitations their employees encounter. And if it becomes obvious that not knowing something is a problem, there should be a discussion about how to fix that. Yep. They don’t need details but if they have no idea how long it takes to do a task, how do they know you’re doing the work efficiently? However, to elaborate on my original statement, I have to be indispensible to my boss(es). My job depends on it. Though I don’t need them to flounder without me – they can certainly type their own e-mails and change their own toner cartridges – I have to be more efficient, organized, and adept at multitasking than they are, or why would they keep me around? Granted, this may apply more to law clerks/legal admins than others, but as anyone who has worked for a lawyer (or three at a time) knows, the more responsibility they entrust you with, the more secure your job is. I think there are some administrative things a boss ought to be able to do herself, even if she isn’t the one who regularly does them. If she’s there after the staff has gone home, she doesn’t have to call someone to ask them how to scan or copy, for instance. It doesn’t mean an admin’s job goes away, or isn’t important, because its just not efficient for the boss to be doing such things all the time when she has other work to do. But the boss should at least be able to get by, as far as admin stuff goes. So much this. I have worked for people who were waiting for me at my desk when I came back from lunch because the toner needed to be changed and they needed to print out a report ASAP. Of course I have no problem changing the toner, but I’m also allowed to take my lunch break as well, so it’s not necessarily always in someone’s (or the business’s) best interest to not learn how to do it when those situations arise. I nearly hugged one of our directors when I walked into the copy room and saw him trying to figure out how to change the toner all on his very own. It was a priceless moment. He did relinquish the task to me (with a relieved look on his face), but it was heartwarming to know that our world will not come to a screeching halt if I should ever need to take a sick day. Yes. My current boss doesn’t know how to use computers or e-mail and, you know, I’m happy to type up his replies to e-mails that I print out for him*, but when I’m gone he can’t even turn on the computer. That’s an issue. *He used to ask me to fax his replies back to people’s e-mails. He sometimes tells me to take a picture of his hand written response and e-mail the picture to them. I am very very happy to type up his replies instead. You’re right – I am new to commenting here and I think I need to include more detail (see my more thorough comment above). I am a law clerk, so the tasks in my job are specialized compared to a regular admin. Therefore, the more my boss depends on me for what I do, the better the position I am in. I have never had a manager who understands what I do. I often joke that half of my job involves explaining my job to my manager! For context – I’m in records and information management, which is fairly new as a profession. New enough that most people haven’t been doing it long enough to be come managers. Most of my managers have come from the IT world, and a couple have found themselves here via Corporate Administration. I can only think of one manager who started her career in RIM and kept working there long enough to be a manager of RIM. It’s not usually a bad thing – most people are aware of this gap in their knowledge, and are receptive to learning more about it. But you get a few who bottlneck the whole process by insisting on understanding *every*last*detail* before they approve everything, rather than trusting that the people underneath them know what they’re doing. Although I suppose that kind of manager exists everywhere. So it’s really more about the person’s managerial style and people skills, rather than how much they know about the subject and the work at hand. I’m in the RIM industry too–technology side. Records managers rock! I think this mostly becomes an issue for people when bosses make wrong assumptions about your job (that you’re doing it wrong when you’re not) and it affects your ratings. Or has ridiculous expectations about what you can get done in a certain amount of time with a certain budget. + 100 Bosses with no real clue what it takes to do my job drive me crazy. While I don’t expect them to be able to do every little thing, they need to know enough about the process to tell reality from fantasy. I’ve had more than a few bosses who had trouble with this. This is one of the reasons I left my previous job. My boss had been in my position 10+ years before, but a lot of things have changed since then. My coworkers and I tried for years to explain how things worked nowadays, but he never remembered, so there was no way to make him understand what challenges we were facing. Sounds like he IS a tool. He… I don’t even know. I think he was well-intentioned, but he was out of touch with work-reality, and he was so busy that he instantly forgot whatever he was told. It got to be very frustrating. I think at that point someone needs to SHOW the boss what the task now looks like. For the record, I wasn’t expecting him to know how to do the job – I was expecting him to believe me when I said a task took half an hour and not five minutes! I totally get this as I had a boss who was the same way in that they just didn’t get that some tasks were not magic, they actually took time and effort. And that forgetting what you tell him thing? UGH. There is no help there then because you can explain until you’re blue in the face, but it won’t matter, they won’t remember anyway. How frustrating! The flip side is having a boss who understands why you need a program/system to do something that to them is simple but to you is complicated because they only one interact with one side but you have to take 5 other things into consideration. We are currently developing inhouse an interdepartmental database to track info found on various programs that never talk to each other (and pulls the info from those programs or replaces spreadsheets that held the information). About once a month I have had to explain that it is very useful to have the accounting, engineering and work order status accessible through one source even if person A doesn’t need all that info 99% of the time. I am hoping the next time quarterly reports take 20 minutes instead of a week to compile will stop the questions, but I doubt it. I find when these conversations come up, the best thing to do is say “I really want to be able to meet your expectations, but it seems like what I’m doing now isn’t working. If I knew a better way I would certainly utilize it. Would you be able to set aside some time to sit with me while I’m working on this and maybe you can give me some tips to make myself more efficient?” That gives you the opportunity to show them that they’re wrong about how much time it takes to do this stuff, but framing it in a way that you’re soliciting feedback and looking to improve rather than confronting them and just saying “You’re wrong” (which a boss like that will rarely believe until they see it with their own eyes). If the boss actually has any interest in getting your work to improve, they’ll make time to do this. If they don’t, you can safely ignore the feedback (because it clearly wasn’t actually that important) and if it comes up again, point out that you’re still happy to receive assistance when they’re available. Eventually, they either cave in and make time for you to prove your point or they drop it. Whenever we had an actual conversation about it, he agreed that the process does indeed take a lot of time. One month later, he forgot and we went through it all again. Glad I’m not there anymore! This. I had that problem with a previous boss. I was a contractor with a specific skill set and the boss had all kinds of weird notions about what should be getting done and how long it should take. She was way off the mark because she simply didn’t understand enough about my job to make those judgments. Explaining it didn’t help. Some people just hold on to ideas that make no sense and there’s no loosening their grip. Agreed. It makes it hard to take a manager’s feedback on the day-to-day execution of your job seriously when they have what you view as unrealistic expectations and they’ve never been in the position themselves to understand what they’re asking of you. I find that often what they really mean with this type of criticism is that they’re unhappy with your performance and either they’re too lazy to figure out the root cause or they’re uncomfortable addressing it, which is a frustrating and bad approach. However, more often than not I find myself deflecting the feedback based on the approach in order to avoid acknowledging that I really am having a performance issue. In other words, while their reasoning may be wrong, their overall point usually is not unfounded. Something leads them to question your process, and it’s usually a lack of acceptable final results. Having worked in a very technical position doing database management of a proprietary system (i.e. no directly transferrable skills or formal training programs), I can say that having a boss who not only did not know how anything worked, but specifically said, multiple times, that it was not worth her time to learn, put my team at a distinct disadvantage. Why? Because she could never advocate for us in high-level meetings when priorities were being made and resources divided up amongst management groups. She had no idea what was a reasonable request and what wasn’t. No idea what was going to be a big project or small project. This is my life now, I have a flexible manager who is pretty excellent at people managing and absolutely clueless on the technical side. So I get job with dictating how I should implement it then I have to rewrite the whole thing and argue with them until they pretend to understand, It might be time for a letter to AAM. Reminds me of “Undercover Boss” and how the CEO or other higher exec does not know how to do the jobs of the employees in the stores, restaurants, etc. This was the WORST when I worked at an ice cream shop! The owner would work a busy shift every once and a while and once spilled an XL chocolate shake down my back because she wasn’t used to even the physical space and rhythm we were in, much less the other processes we used. This spill was of course my fault for being in her way. The funny thing about this, is that customers can see pretty clearly what’s going on. Especially the regulars – all of a sudden there’s someone there who they’ve never seen before, who is usually (but not always) older than everyone else working there, who is running around and getting in the way of the people who actually know what they’re doing. Bonus points if the customer has also worked in food service – that way they get annoyed at the slower service, and also remember how annoyed they were when they were behind the counter having to put up with it! In a white dress shirt, even. Which is a bad idea when slinging refried beans. I saw this done fairly well, once, on a TV show called “back to the floor”, where a high level person (maybe the CEO) went for a day of work – and specifically training – in what was happening on the factory floor/storefront/whatever. They weren’t undercover though, and they were there explicitly to learn what was actually happening from the staff doing the work. I worked at a chain store when our CEO was on “Undercover Boss.” We had to wear tshirts with his face for two weeks to promote it. The episode had the customary feel-good ending but absolutely nothing changed at the store level. The day my boss learns the ins and outs of my job (like managing the website) is the day I become expendable, so I’m cool with that. Although it does get frustrating when people expect things to just happen like magic. I don’t think that means that your boss should know everything about managing your website but you should have it well documented, and back up in case you ever want to take a vacation or a new job. But that doesn’t mean you are expendable. It means you can take a vacation or a promotion. This. I worked at a place where a manager was diagnosed with terminal cancer. No one pushed him to document his work processes and where he was with various clients as he kept working until almost the end — in fact, there wasn’t even a system in place to DO that kind of thing. He died, and he took a TON of knowledge with him to the grave. It took them almost two years to recover from that loss, and even ten years after he passed, there were still moments with old clients who would say “I told that! How come you guys didn’t know?”. I think it also depends on how hands on or involved the manager is in the employee’s workload. The more hands on a manager wants to be, the more important it is that the manager have an understanding of the employee’s job functions and what sort of time and resources are needed to complete tasks. A manager that wants to be a part of strategies, deadlines, budget and planning should have an idea of the time and resources that go into the work. For example: if a manager wants an employee to build a website, the manager doesn’t need to know how to code or do graphic design, but an understanding of the time it actually takes to do the work and what is actually possible for the employee to do (given skill-level and resources) is crucial so the manager doesn’t set the employee up for failure with unrealistic expectations and deadlines. That’s the problem I’m having with my director at the moment – sure, I can build a custom CMS, retrodigitise all our print content from across 5 continents in 23 languages, have it all tagged and ready for repurposing into those encyclopedias you’re so keen on, as well as create the editorial strategy, direction, and financial models for all the products you want to spin out of the repurposing. However, if you want it done by July, I’m going to need more resources. Working for a boss that doesn’t understand my job means that I have the extra duty of proactively “selling” myself and my job, and trying to manage up. My boss doesn’t understand my job enough to set realistic goals, determine priorities, or acknowledge big successes. (There are times that I’m given a ridiculous amount of praise for something simple, and other times that a Herculean accomplishment is ignored or even belittled.) I spend a lot of time communicating, educating, persuading, and waiting for approval. My husband is in the same situation now– he’s in IT infrastructure, and his supervisor doesn’t know enough about the current technology to recognize a) who’s doing the most highly-skilled work, b) who’s keeping current and working hard to improve their knowledge/skills, and c) what to look for in new hires. Several times in the past couple of years, my husband has, through sheer force of will and massive amounts of unpaid overtime, rescued projects that were over-budget and off-schedule, to be rewarded at the end with a “Great job, team!” Not only is it demoralizing to the people whose efforts go unrecognized, it enables the slackers to skate by based on the fact that their supervisor doesn’t know enough to realize how stagnant and lazy they are. I didn’t know my husband had a secret, other wife! ;) My husband also works in infrastructure, under a boss who has the lovely combination of minimal/outdated technical expertise AND a tendency to micromanage decision making about projects. It’s been interesting. He’s managed a sort of end-run around his boss but it took a lot of backroom type dealing with the CTO and one of the other VPs. Yes, very much this. While all managers can set expectations for their employees, and employees might disagree, the manager can’t change the reality of what success is in a specific job function. At some point, your job bumps up against the real world. I hear way more people complaining about this: that their boss doesn’t even know what they’re supposed to be doing, or what would define success in the role. I don’t want my boss to know how to do my job, but I’d certainly like him to know what would differentiate an adequate job from a great job, and where demands on my time should fall in the organization’s and my priorities. Know exactly how to do the direct report’s job? Maybe. Know and appreciate how much effort jobs require, and what tools direct reports need to get their jobs done? Yes, yes, yes! This – exactly! And being willing to involve you in discussions about massive potential changes to your workflow. Looking at it from another angle, a former boss once told me “A’s hire A’s, B’s hire C’s.” What he was saying is that a smart boss won’t be afraid to hire someone even smarter. So, a boss should have an idea of what you’re doing, so she can tell if you’re doing it well, and provide guidance and direction. But a boss who fully understands what her people do is someone who is either a micromanager or hired people who wouldn’t outshine her. Even if the boss came from the job you do, things change. She doesn’t have to keep up completely, if she can trust you to do so instead. That’s the crux of a whole bunch of issues between manager and subordinate – hire someone you can trust to get the job done. If you do that, a ton of problems are solved. I find that the trust issue is one of the biggest work place issues there is. It makes me chuckle though when managers complain about the very people they hired. I guess they can’t trust their own judgement? Exactly. Some people trust no one, regardless. Those are the micro managers of the world. But in general, you’d think a person would have some trust in those they choose to hire. Having and SHOWING that trust goes a long way. But a boss who fully understands what her people do is someone who is either a micromanager or hired people who wouldn’t outshine her. Speaking as someone currently managing a team: do I know how to do the broad aspects of each person’s role? In general. Enough to train them on what they need to know to accomplish their goals within the company framework (corporate structure, databases, etc), enough to identify the knowledge needed and where to find it / who to hire, and enough to fill in for the simple stuff in a pinch. But, quite frankly, I hired them for a reason. Each person has a specialty that I just don’t have (either they’re really excellent at something, or they’ve been doing this for years and know EVERYTHING about it, or they’re trained in a specific way that I’m not – in my case, half my team consists of nurses, and, while I need medical professionals there, I don’t need to BE one… ). Part of my job is to set goals and give people the tools they need to meet them (and ask them what tools they need if I don’t know what’s needed for a specific thing – pet peeve is bosses who won’t ask when they don’t know and make everyone’s lives more difficult, argh). Quick related thought, though: in my experience, the “my boss is incompetent if they don’t know everything I do” school of thought seems to feed into the “I do all the work here I don’t know why I need a boss haha management is so useless” school of thought, and it seriously hasn’t seemed to occur to some people that the manager’s job is not shadowing/doing their employee’s jobs, but rather to help them do their jobs and, in a larger context, deal with clients/CEOs/budgets/requirements/etc that lets other people know what needs to be accomplished for their roles. Different roles = different focus = different priorities = different kinds of knowledge. Basically. Your last paragraph has been exactly my experience too. I’m wishing my boss thought like you! This is a timely question for me– I am a relatively senior (director level reporting to a VP) staff person. I was hired by and reported to one person (a different person) until they re-organized departments and upper management. Until the re-org, everything was going very well and my boss trusted me and my expertise. But the VP I now report to doesn’t understand what I do. He said so to me, and I appreciate the honesty. But he also clearly trys to micro-manage me now since he doesn’t understand it. It’s very frustrating. Other than giving it some time, and doing my job like a rock-star until he trusts me, any suggestions for how to deal with this? My main frustration is that he and the micromanaging slows me down– he often won’t even let me take a stab at a short (one day of work) subproject then show it to him to discuss before we share with others. Rather, he wants to first discuss ad-nauseam, and then write everything jointly with me and it takes two full weeks because he doesn’t understand. Suggestions? I think you may have answered your own question. Since you’re relatively new to reporting to this person you’re going to have to wait a while for him to get adjusted and trust you. Creating some written procedures or protocols may help – or at least get some shared understandings. What works for my semi-micro manager boss is bringing her products/ideas that are already very well fleshed out. That way she can tweak if she needs to, but generally she seems relieved that the work is done even though she claimed she wanted to be in on it. What worked for me under these circumstances was to schedule some time to talk, and express my concerns (how my boss trying to dictate things was slowing me down), and asking what I could do to make him more comfortable with more spaced checkpoints. Boss actually showed surprise — apparently he was used to people needing more “handholding”. He apologized and said he would leave me more space. I’m not a person to hide a problem, and it has worked well for me to speak up, but of course YMMV. There was a question submitted a while back which Allison answered about this. Depend on how bad it is, it ranges from gentle nudging/demonstration that you can do tasks to having a full on discussion about how they are hindering you in doing your job. Yes, and particularly if the employees are specialists like medical personnel, lawyers, accountants, etc. You don’t need to know their jobs, you do need to know how long it should take and what reasonable results are vs bad results. I’m curious how this applies in small organizations – say, up to 5 employees. I’m currently in a situation where I have been in my position for about 5 months, and the person I replaced was here 5 years. For many of the tasks, when I ask for some background (contacts, how things were done previously) the answer I get is “Well, that was Jane’s area. I really don’t know, but if you go through her email, you should find it”. This seems like an area where a manager should know enough of another person’s job – so that a lot of institutional knowledge isn’t lost…? Maybe I’m making excuses. I think this is an instance where it’s really important to have training manuals and processes laid out in case someone leaves. The manager shouldn’t necessarily know how to do everything, but they should be able to refer you to the training manual if it is something they don’t know. Training manuals/processes also mean that if one employee leaves on vacation for a week she’s not constantly fielding calls from the office on how to do her job. Having previously worked at a 4-person shop, I would venture this is pretty normal. Myself and two coworkers each had domains we were responsible for running; our Exec Director set outcome-based goals but largely left it up to us to design the processes and methods we used to get there. I was asked to raise $X a year, but it was up to me to figure out how to do that. The ED would probably be aware of broad strokes, like that we had N email campaigns per year, that we offered back-end premiums in exchange for donations, and she’d probably have copies of the emails that were sent, but I wouldn’t expect her to know how to write a fundraising email, how to query for target groups in our email database, how to run reports to analyze results, and so forth. The only reason my replacement knows those things is because I 1) documented as much as I could that was specific to our organization and the tools/software we use, and 2) gave her a stack of general fundraising how-to materials. You do lose a lot of institutional knowledge when employees leave an organization that small. You can try to minimize it, but it will happen to some extent. Even after the manuals I wrote and training with me for 3 days, my replacement was emailing me with random questions for 2-3 weeks after I had started my new job. I finally had to write back to her one day and tell her that I was focused on my new job and couldn’t help anymore, and that she should do the best she could with searching my email (which archive she inherited from me), the manuals I’d written for her, and documents kept on our server. This is one of the costs of turnover. It’s a real issue, but it’s very hard to quantify. It’s simply not realistic to expect that more than one person will have all of that information at their fingertips. And the smaller the organization, generally, the less realistic it is, because the “leaner” it runs. Even in a larger organization, though, this kind of thing is going to happen. If there is one person who does all the ordering, that person is likely to be the only person who really knows about all of the different vendor accounts, and who we order what from. 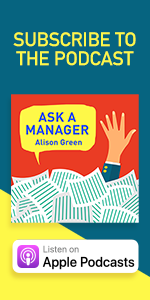 The manager can’t reasonably be expected to keep all of that knowledge on tap – that’s what the office manager is there for. On the other hand, the office manager SHOULD be keeping a findable and clear list of all of this information. That, by the way, is one reason I get annoyed with people who are overly into “lean” organizations. Yes, you don’t want to waste money of too much overlap. But a bit of overlap and a bit of slack helps you deal with people leaving, or even taking a vacation. It especially upset me because in other ways she was an incredible micromanager. We met three times a day, you reviewed every word choice I made then re-reviewed your revisions, you told me what type of sticky note to use, and you didn’t even care/know if I were keeping good records? What about like in a store or something? I’m sure that all the department heads know how to do the jobs of their department, our bookkeeper is also the cash manager, etc. Our store manager started out in the grocery department so that’s what he does when he’s not working in the office, and the assistant managers also help stock when it’s slow. As far as I know, only one of the assistants actually knows how to work cash, but that’s because I’ve seen her doing it once. Then again, I guess it depends on the workplace. In a retail environment, IMO, yes, absolutely management should know how to stock and ring people up. This is more true the smaller the store is. SuperTarget? Maybe not as crucial. A small Dairy Queen with two windows? Absolutely the store manager should cover one of the windows if one of her employees is on break and there is a line. I always felt that a good boss should have a general understanding of what his/her direct reports’ work entails, but they don’t need to know it down to the nitty gritty. I think it’s not so much about knowing what your job is, but being on the up and up on who deals with what projects, who has what skills that can be used elsewhere, etc. For example, it’s not about knowing how to do X, Y, Z, or even A, B, or C for that matter… but being aware that Wakheen does X and Y, and can help out with Z if need be; Daenerys is the go-to expert on Z, and Apollo handles all A, B, and C, but is not licensed to even try doing Y.
I think it depends on the job. A direct supervisor? Yeah, I think they should know how to do it. We always mention the “hit by a bus analogy”. What if that happened to both members. Or they both just quit within a short time of each other. The manager shouldn’t just have business stop for that period of time. One caveat to this from my field: Your manager should know enough of your job to be able to inform you of hazards you could face, and know enough about your job to make sure you get the right training for what you’re doing. (And, realistically, know enough about your job to make sure you’re doing it properly, and not putting yourself at risk). Here in Ontario, under the Occupational Health and Safety Act, that’s a HUGE part of a Supervisor’s responsibility. The Employer is also required to make sure the Supervisor is competent, by making sure that *they* have the training and information they need, before even getting to the worker level. YMMV, of course; I don’t know much about US or International Occ. Health and Safety. This is a really great point! In my experience, managers knowing how to do their subordinate’s jobs is most important in places like restaurants and retail. Should a bookstore manager be able to jump on a cash register if needed, or help a customer find a book? Absolutely. Should a front-of-house supervisor know where supplies are kept, how to bus tables, or take an order? You betcha. The worst retail jobs I worked at were ones where the supervisors were unable or unwilling to help out on the front lines. The best ones were where the manager was working his tail off along side of us instead of sitting in the back room chatting. If my supervisor isn’t willing to pick up a broom when popcorn spills all over the floor– well, that’s a supervisor I don’t want to work for. When I worked in HR doing training, it’s a point I tried to emphasize. Team members are much more willing to go the extra mile for a supervisor who’s willing to go with them. I love this. Love, love, love. I might adopt it as my personal management mantra. They weren’t a great deal of help, even with only one book and two possible payment methods to deal with. > Team members are much more willing to go the extra mile for a supervisor who’s willing to go with them. The best managers, in my experience, are those who understand that you have to be part of the team if you’re going to be team leader. “…working BS detector” I would love to see this on a job posting. There’s something I’ve been thinking about lately as I get back into the job search that I think is somewhat related–how much information should you leave about your position for the next person? Last year I got a new position within my company and the person who was leaving was retiring but was hoping to still work here part-time in some capacity, so there was no bad blood. I was incredibly lucky that was the situation because she was able to train me for almost 2 weeks and answer immediately any questions I had–and she did get part-time work in another department so if I had more questions I could still easily ask her. It’s an entry-level position, but there are so many elements to it. You do X so you can get Y and then Z and do it all again. If I had just come in without any help or documents from her I would have done so poorly. As it is, I just basically continued how she did things until I felt comfortable enough to change something to my way (and I’ve done very well in my position). There are lots of little things to do and I have many tricks to make those things faster and more accurate. My boss knows what he needs from me, and when, but not all the computery details of it all. I started writing up a document for just the first step in everything I do and realized I would end up with a 25 page document by the end (which might not be too much for other jobs, but could be completely overwhelming for a newbie in my administrative position, though it’s mostly a step-by-step thing). So I guess my questions are A) do you have to leave a “how to” document (I’m sure it’s considered nice to do so) and B) if so, how detailed do you get? Should I be more basic and hope they know their own tricks (and even if I go basic, there is still a lot of info to share). Damn, I really do a lot of work when I think about it! I would do a basic document and then a “tips and tricks” document organized by problem. So I can learn how to do it in a page or so, but then when I start having problems, I have a much more detailed document to pull from as well. In the last two roles I left, I created a “job manual” which was actually a folder containing multiple documents. Each document was a 1-5 page guide to doing a specific function of my job, step-by-step, including screenshots if it involved using software. I probably had 6-10 documents in the folders, so the entire manual folder definitely added up to 20-30 pages of material. 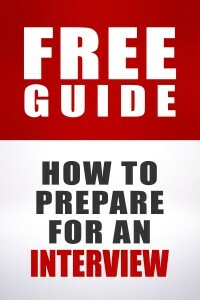 I put together a 40 page manual for my job before I left. I didn’t want the new person to waste months figuring everything out and I didn’t want him to destroy what I had created. When I was studying management in college, there was a little matrix one of my profs used that demonstrated perfectly the Technical, Human and Conceptual skills different levels of leadership should have. I’m sure it’s around the ‘net somewhere, but the moral of the story was that the higher/more executive leaders should have the most conceptual and human skills, while the lower-level leaders (supervisors, first managers, and frontline staff/non-leaders) should have an even mix of both with less emphasis on conceptual skills. I’ve got to say, I work in a job now where my boss has the technical expertise to do my job AND is a good manager, and it is amaaaaazing. She’s able to give suggestions that are spot on because of her technical knowledge and it really improves my work. In my last job they did a management shuffle and my group end up moving from a manager with technical expertise to one who didn’t have it. It was very frustrating to have to explain our work to her on a relatively basic level, and she didn’t add value in that regard. I definitely get that a manager’s best asset is being able to manage well, and that a person who excels in technical knowledge as an individual contributor may be a terrible manager. But it is really, really super awesome to have a manager that is good at both. Yes! My current manager is completely awesome! She has years of experience from positions similar to mine, and is both very good at it and has moved on to more conceptual levels of responsibility. So I get someone who understands the basic building blocks of my work, can teach my all sorts of new aspects, and is still big-picture and goals oriented rather than hand holding! I feel that the higher up the corporate ladder you go, the more time you need to spend outside of your office and out on the front lines of the company. If you don’t have the pulse of the company in your mind as you make the executive decisions, then how are you really going to know what the effects of your decisions will be? I’m not saying you need to be an expert chocolate teapot maker/hamburger flipper/programer/whatever, but you at least need to know what the heck is going on in your company in order to make effective decisions. Plus, listening to those people will give you the insight needed to be that great leader. If you just listen to what the spreadsheets and stockholders are saying, then your company is not long for the world. I think that it is a fine line between not being able to do a subordinate’s job and losing touch with how the company functions. Other posters have used good specific examples. From what I have seen, too many times the upper management has lost total track of how much they are requiring of their front line people. This problem is compounded when upper management does not check to see how their “big, new idea” is working out as they add another “big, new idea”… and so it goes. The willingness to let go of one’s involvement can lead to more detachment. And that becomes a slippery slope. I do understand that each layer of structure brings on different duties. But I also feel very strongly that every boss has to take care of her people and be aware of their current concerns. When she fails to do that, real problems set in. I think it probably varies by field/profession. I have a finance/accounting background, and held an accounting manager position a few years back. I had to build quite a bit of my team, so in a pinch, I could have done each of their jobs, if necessary. But I was very hands off for the most part. Then I got a new boss, and she made it a point to sit down with me, and her other managers and supervisors to spend time with us to find out about our jobs, and also did the same thing with all of our direct reports. This immediately endeared her to the entire team. One thing she did was had everyone hand over their account reconciliations, and she did them for a couple months. Not because she didn’t trust us, or anything like that, but because she wanted to understand the accounts, what types of transactions hit them, how they were affected by the ERP system, and so on. Once she’d gone through them a couple times, she gave them back to the person who normally did the reconciliation. The balance sheet is the foundation of the financial health of the company. If your balance sheet is solid, and your accounts are reconciled to the penny, then chances are your P&L is in pretty good shape. It’s when your balance sheet accounts have unreconciled balances that you run into problems, which usually have to be resolved with a hit to the bottom line. So, really understanding what’s on your balance sheet is important for any manager in an accounting role. So that’s why my manager did that, and as a result she was able to come up to speed very quickly on just about everything. When she left, I suggested to her successor that he do the same thing. He was taken aback at the idea, and said, “I don’t do account reconciliations. I’m a manager. That means I manage.” Well, yes, you do, but you’d manage much more effectively if you understood what your people do, and have a general idea of how they do what they do. So since accounting is so very detail oriented, I think it’s good in a field like that for a manager to be able to dive into the nitty-gritty details when it’s required. But for other things, it’s probably not necessary. I am in an IT role now, and my boss knows what I do, and knows enough to be able to provide guidance and support when I need it, but she wouldn’t be able to step into my role and fill in for me. And that’s OK — she doesn’t need to know. I have had the opposite issue with a former boss from a lot of the other posters today – my boss vastly overestimated how long it took to do certain work. He actually did know what the work was (he also did it himself), but he was just not very efficient about it. It also took him much longer to understand things, and they had to be explained in a specific order (answering his questions only – no jumping ahead to the conclusion). This was fine for a lot of purposes – he was often amazed at my output – but not when he felt the need to understand a particular project. 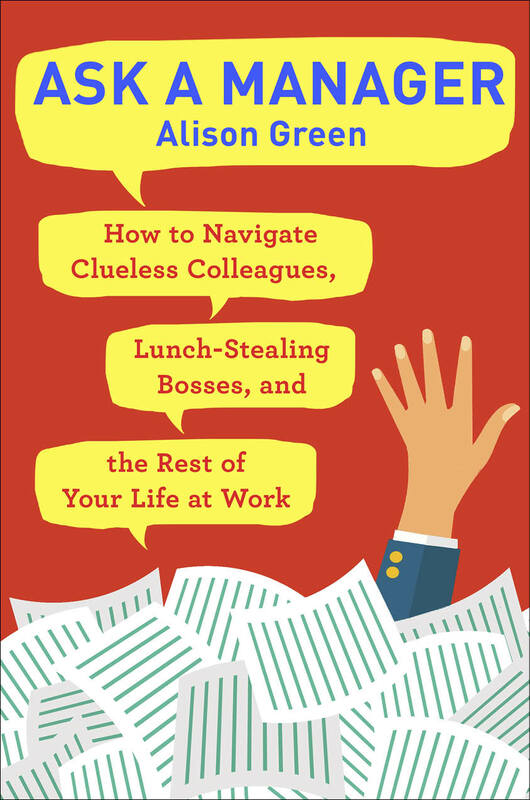 I had to remind myself that answering my boss’s questions was actually part of my job – even when they were stupid and irrelevant – and that the time wasted on this was easily made up by all the occasions when it took me less than two hours to complete work he expected would take two weeks.